The Road: Begins at NC 274 West Gastonia and ends at NC 27 Stanley, all within Gaston County. NC 275 was born in 1930 as new primary routing, running the way it does now. NC 275 hasn't changed at all since its birth. 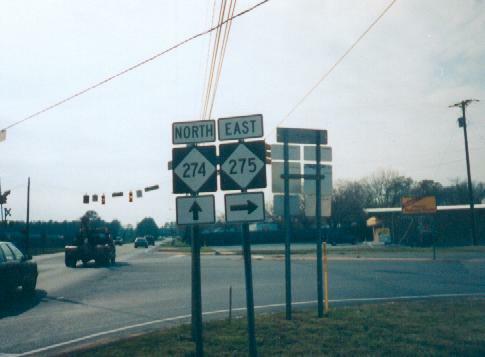 Comment: NC 275's original west end was US 74/NC 20. NC 275 serves as the main drag through Dallas.